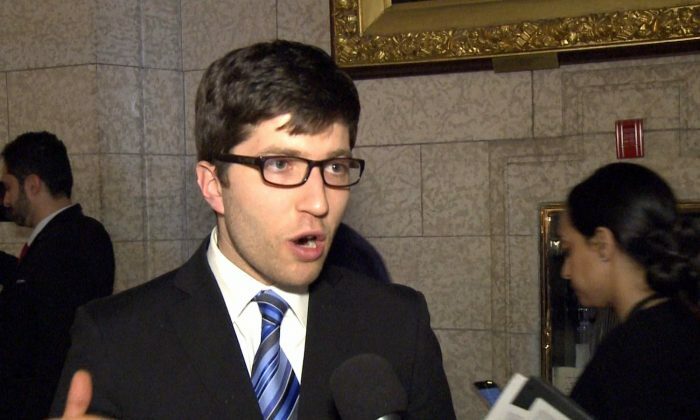 OTTAWA—Conservative MP Garnett Genuis formally introduced his first-ever private member’s bill this week, aimed at combating a grave issue inflicting harm on spiritual believers in China, but also impacting Canadians. Bill C-350 revives former Liberal MP Irwin Cotler’s Bill C-561, which aims to fight forced organ harvesting. “This bill seeks to combat the scourge of forced organ harvesting, when organs are taken from people against their will, often gruesomely and without anaesthetic and while a person is still living, and often when the individual’s only so-called crime is engaging in a particular religious or spiritual practice, ” Genuis said in the House of Commons on April 10. The bill amends both Canada’s Criminal Code and Immigration and Refugee Protection Act. “It makes it a criminal offence for a person to acquire an organ that they know was acquired without consent. It also and makes those involved in forced organ harvesting inadmissible to Canada,” Genuis explained. Genuis said in an interview with New Tang Dynasty Television (NTD) that the practice of forced organ harvesting from Falun Gong prisoners of conscience in China has been a major concern. As the government seeks to deepen Canada’s relationship with China, this bill is needed now more than ever. “Regarding Canada,” he added, “it will ensure that we are not complicit in this and that Canadians do not engage in this practice, and they will be put on notice that they will be held accountable if Canadians are engaged in this practice. Genuis said that his fellow Conservatives “are very much behind” the issue, but all-party support is needed. “To make it all the way, we need to build those bridges across party lines. We are well on our way to doing that. We have got clearly some strong support in other parties. Getting it all the way is going to require us to keep building on that. But there is no reason any party should be reluctant to do this. This is a basic human rights issue. It’s something that all parties should get behind,” he said. 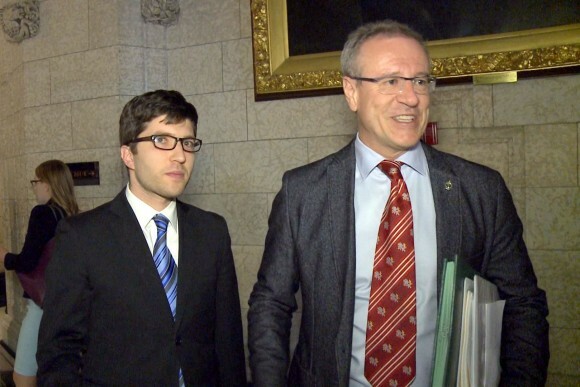 Genuis already has Liberal MP Borys Wrzesnewskyj’s support to second the bill. Wrzesnewskyj has in the past twice proposed a similar private member’s bill to combat forced organ harvesting in China. “We will be cooperating and working hard to make sure we finally have a Parliament to pass this legislation,” Wrzesnewskyj said. The bill was inspired by the over 10 years of research done by two Canadian lawyers, David Matas and David Kilgour, on state-sanctioned organ harvesting from Falun Gong practitioners in China, which kills the victim in the process. Matas and Kilgour, along with investigative journalist Ethan Gutmann, released a report in June 2016 which estimated, based on evidence such as hospital data and doctors’ statements, that Chinese hospitals have performed some 60,000 to 100,000 transplants a year since 2000, with the source for most of the organs coming from prisoners of conscience, primarily Falun Gong practitioners.